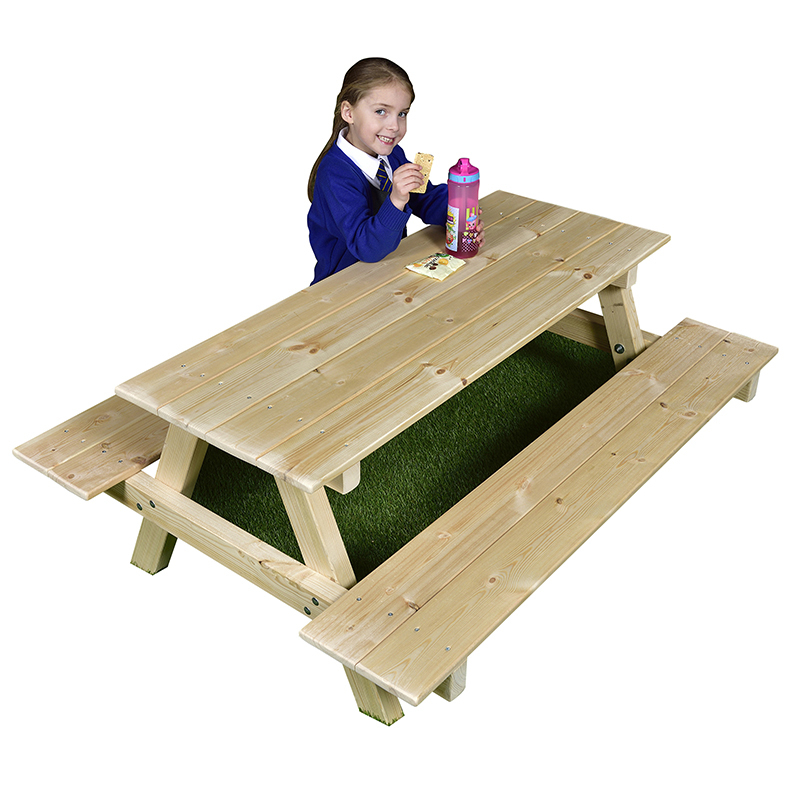 Our large sturdy picnic style table and bench set is ideal for outdoor activity – reading, writing, playing or even eating. Rounded edges on tables and chairs for safe and comfortable seating. Redwood timber (FSC and ideal for outdoor use – treated).